Hello, goodbye Jeremy Guthrie managed to get just two outs in his team's 9-1 loss Friday night, the shortest outing of his career and shortest for an Orioles starter since Victor Zambrano retired just two Toronto Blue Jays on Sept.
26, 2007. There was injury added to insult when Guthrie took a liner from Jason Giambi off his right forearm, but he expects to make his next start. 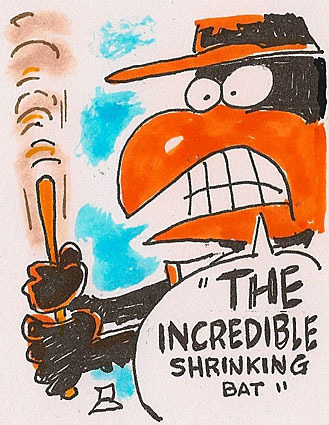 OAKLAND, Calif. - -Just a week ago, the Orioles were feeling pretty good about themselves. They had won seven of eight games thanks to solid starting pitching, timely hitting and the contributions of several young players who injected enthusiasm and hope into a clubhouse in need of both.